Ingram Content Group is launching their new, integrated print and ebook manufacturing and distribution platform today. It’s called Ingram Spark, and it was announced at the recent Book Expo America. Ingram Content Group Inc. is a subsidiary of Nashville-based Ingram Industries Inc. The company provides books, music and media content to over 39,000 retailers, libraries, schools and distribution partners in 195 countries. More than 26,000 publishers use Ingram’s fully integrated physical and digital distribution, logistics, and manufacturing solutions to access global consumer demand, and realize the full business potential of book content. Since the BEA there have been a number of articles written about Spark, and a good deal of confusion about what exactly it is, who it’s for, what it will cost, and all the other details related to an ambitious program like this. I mean, think about it: with one dashboard being able to order up your print on demand books through Lightning Source, convert them to ebooks and manage the distribution of all your editions into that market of 39,000 potential buyers in those 193 countries. That’s power. Robin Cutler joined Ingram Content Group in 2011 as Manager of Content Acquisition. At Ingram she leads a team assisting independent publishers in making their digital content available to retail partners throughout the world. Ms. Cutler began her career in publishing over 30 years ago at a university press designing her first book in linotype and letterpress; a year later she was designing on a Mac SE. After many years of university publishing in South Carolina and Wisconsin, she started a trade imprint, SummerHouse Press in 1997. Ms. Cutler most recently worked for Amazon Digital Services. She holds a BA in Journalism from the University of Southern California. Ingram will listen to customers after the rollout to see if they want more flexibility. Consolidated, single source metadata is a reality. Coming soon: e-book conversions and integration with Bowker’s ISBN registration. Robin also runs through all the print on demand and ebook fees involved in using Spark, but I’m not going to enumerate them all here. You still need to understand the publishing process, file creation, discounting, and things like returns in order to fully make use of this self-service platform. Let me know what you think: Is Spark something you’re going to check out for yourself? Or are you happy with the distribution options you have available now? 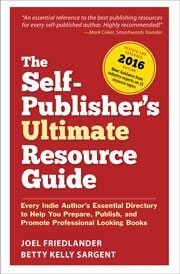 I must say after reading the comments here I am worried about who to go with for printing my first book as a self-publisher. CreateSpace, Lighting Source or Spark? I seems Lighting Source is going to tell me I am too small, Spark is going to charge me too much so it seems CreateSpace is the better choice for me. I write my books in WriteWay Professional. Is this program compatible for uploading with these print companies? It has a ebook conversion on it but is it going to be compatible for uploading with these companies? Nothing but trouble using Sparks. The software doesn’t inform you where you are in the process. Although the Help team replies, it is to apologize for the fact that the website needs adjustments. Lightning Source is easier, more efficient, and though getting help is slower, at least you know what is going on and your orders come on time… not true with Sparks. I’d certainly not recommend to first time self-publishers (or really anyone). At least I knew what was supposed to happen, but didn’t enjoy spending time trying to monitor whether they were doing their job. Peggy, I think you summed it up really well! I’m a first time publisher dealing with Spark and it has NOT been a pleasent experience!! Their customer service is the worse ever. I originally wanted to use LS but I was told I was too small of a publisher and instructed to use Spark. I’m almost sure I wont be using them again…. First, I’m jealous that you live in Marin County. Some of the most beautiful country in the world in my humble opinion. I’m still on the fence and have been in touch with a representative of Lightning Source to verify more facts about their service especially since I don’t need the ebook part of what they offer. BTW, I got a reply back from an IngramSpark representative today who answered my question about being able to distribute books through Amazon if an ebook had been supplied through Amazon within the past year. She said this rule only applies to ebooks. If I wanted to distribute the same book in print format through Amazon, it would be fine. I don’t understand what the big deal about Ingram distribution is with Spark. CreateSpace uses Ingram as well. Is there a higher level of distribution with Spark? I’ve been happy with CreateSpace except that my local independent store detests Amazon, and therefor won’t let me present at an event there. All indie stores resent Amazon, of course. I don’t know how many are as adamant about not carrying CreateSpace books or hosting events, as Book Passage in Marin County, CA. This store suggests Spark, with its 55% discount, which in my opinion, is highway robbery. When you factor in the cost of shipping, etc. you can actually lose money on every sale. Bay Area publishing pro here. That discount is exactly the same one traditional publishers give. They make about the same amount per book as their authors do. The idea is that bookstores have the highest overhead, because they have to pay to stock the books and staff the stores. I don’t know if their overhead is really that much higher to justify the percentage of sales that bookstores get, but it’s not like Ingram is doing anything different. All they’re saying is, if you want to compete with traditional publishers, you have to offer the same discount they do. Otherwise, why would any buyer buy a self-published book at all? They have less credibility and they cost more. That’s a recipe for total failure…and so far, total failure is what self-published authors have gotten from traditional bookstores. I looked over the Ingramsparks web site. It looks like they are trying to be my Amazon Kindle interface too (at a price)–a “service” that is not only unwanted, but unnecessary. And, short of submitting to Kindle first, I see no way around their sign-up process to negate this. Basically it’s Lightning Source with no one to call (just look for a phone number on their web site to obtain clarification on contract issues). Kind of a Create Space without the charm. Here’s the dilemma: On IngramSparks site, when going through the agreements/contracts and such, there is an “Amazon Addendum” that says they cannot distribute through Amazon if I have sent ebook files to Amazon within the past year. This is not clear as to whether this applies only to ebooks (which would make total sense) or to paperbacks as well. After much deliberation, I submitted my files for a paperback title to Ingram Spark yesterday. My decision was not only based on issues and needs personal to me, but to this individual title. I want to promote this book to educators especially at the junior college level, making access to the college bookstore market, with returns, hugely important. Though I won’t make as much money per copy as I would with CreateSpace, Ingram Spark makes this distribution possible. Amy, I understand your thinking. However, you could have used Lightning Source just as easily with the 55% discount and making it returnable. Later, if you wanted you could modify the discount. How will you manage your eBook? If you use BookBaby or Amazon KDP, of example, you can keep 70% of your revenues, but with Spark you keep only 40%. I wondered whether Aaron Shepard’s article was correct that you cannot get a proof of your book prior to publication. Was he wrong about that? B) I chose Spark over Lightning Source because I was new to both, and Spark was advertised as being more user friendly. I can’t say whether it is or not because I’ve never used Lightning Source. C) I’m comfortable with the 55% discount for this title. I accept that such a discount may be industry standard. D) As far as I could tell, Shepard is correct. I was not offered the chance to get a proof copy. Final note: It is not trivial to format pdf files according to Spark’s specifications. They are detailed. I followed all instructions in their guide/manual, and my file was still rejected the first time. The problem was highly technical (related to color% in CMYK); someone well familiar with book manufacturing would not have made my mistake. But it was not a simple fix. New Feature Announcement: Auto EProof for POD! Now, after your files have been uploaded and validated, you’ll receive an email alerting you that an Eproof is ready. Simply log in, click the new “Titles Pending Approval” button where you’ll be led through the easy approval process. So you can at least look at a digital proof for your POD book before it ships. I think I’m with Aaron Shepard in his blog post today about Ingram Spark. He’s the guy we all looked to in years past to learn how to self-publish and to get Amazon distribution. And, more recently his Plan B integrating CreateSpace and LSI. Aaron makes excellent points, and they are exactly the reason why many small or indie publishers may choose not to use this service. I wasn’t aware of the non-disclosure clause in the contract, so that was a bit surprising. Although Spark is not a replacement for LSI, I think some publishers will migrate their accounts there. It’s definitely not for everyone. However, the universe of “indie publishers” is huge and expanding, and that means there are publishers with different kinds of demands and requirements, and it’s not hard for me to picture them making use of this system. Look, the “short discount” days are pretty much over, it was great while it lasted. We need to look for long-term solutions for ongoing businesses, and I think that’s where Ingram is looking to. If they follow through on staying in touch with their customers and adapting to their needs, I think Spark will find a place in the publishing ecosystem. Great interview! I’m very glad I’ve come across your site. One thing that confused me was how an ePub file would be converted for Kindle, but I now see that Amazon will take that file format (though still wonder if they are converting those to .mobi or their proprietary file type). It seems a no brainer to switch POD from Lightning Source to Spark given the lower fees. I wonder if they will offer some service to migrate titles. However, not sure about the tradeoff for eBook distribution. If I focus my time and effort directly with Amazon KDP and B&N PubIt/Nook, the two biggest markets (I think), I’ll get about 70% return per sale. Going with Spark will cut my take by 30% for easier access to a lot of very small markets where I’ve no guarantee my titles will get any more promotion than in the above two. Doesn’t seem worth it. The one exception might be Apple. Last time I checked they required use of their hardware to run their software to upload eBook titles. Still, do I sacrifice that 30% or get myself a used Mac to take care of that market? Ed, thanks for the info, much appreciated. Robin mentions several of these initiatives in the interview, but we don’t know how long it will be before they are added to Spark. So LSI is 16 years old. That makes me an early joiner. I published my first book through them in late 1999, almost 14 years ago. I disagree with those who prefer Amazon’s CreateSpace because it’s more Word-friendly. Using Word to create books, much less covers, is a bit like using an adjustable crescent wrench to work on your car. I tried it briefly for books, gave up in disgust, and went with Framemaker and then InDesign. There’s a reason why most publishers use InDesign. Not using the proper tools only makes sense if you attach little value to your time. And the latest releases of InDesign let me use a single file to generate print versions and digital versions for Apple and Amazon. And those are versions I create and proof myself. They’re not created by mindless, distant robotic software I can’t control. Under the new Creative Cloud program, I pay Adobe $50/month to get every one of their professional tools constantly updated. If I can’t justify spending that much for what’s virtually every software tool I need to create books, then I shouldn’t be in publishing. Pros pay for their tools because they know tools matter. Those who’re turned off by some of the limitations of Ingram Spark, might want to consider LSI’s traditional POD for publishers. I’ve not found it difficult to use at all, which makes we wonder why anyone needs the easy of Spark. In fact, I find it easier to use than Amazon’s cluttered CreateSpace for print or Apple’s less-than-intutive use of a Mac-only app to upload ebook data. It’s simple fill-out-the-data and upload the files. The negative is that, unlike the rest of the industry, LSI charges for publishing/revisions and their revision policy is utterly insane. I clashed with them over it back in December. Rather than simply continue to fill orders seamlessly, first with the original and then with the revision when it is approved, LSI does everything as wrong as possible. Send in a revision, and the book becomes unavailable for new orders, a change that quickly ripples through retailers. Then all existing orders fill with the old version even if it is has horrid errors. Only after those orders are fulfilled, does the revision began to move through the system and, when approved, remove that unavailable status. Fixing a few typos can make a book unavailable for sale for two weeks. It’s utterly crazy. As best I can tell, those who established that policy are unable to think in any terms other than the old print model. In that model, a publisher intending to bring out a new edition let the inventory of the old sell off and, only then thought about printing a new edition, perhaps after waiting months for demand to build up. That made sense under the old, sluggish print model. It makes no sense with POD. That Amazon understands. With Amazon’s CreateSpace, I can release a revision in about 24 hours with no interruption in sales. That’s why, although I release print books through LSI and CreateSpace, Amazon now takes first place. In the long run, I’ll need to decide if LSI even gets minor revisions given how much hassle it is to sales. There’s also LSI/Ingram’s insistence on charging $12/year to keep books in their database, a charge that might have made sense in the 1970s and IBM mainframes but makes no sense today. For those with a few titles that may not matter. For those like me, with dozens, it does and for those with hundreds of titles its real money that no one else charges. My own take on Spark is that it’s a distraction from what actually needs more attention from Ingram. For many publishers, LSI is no longer that competitive with CreateSpace. LSI charges for numerous things that are free with CreateSpace. It pays less per sale than CreateSpace, a difference so great it surprised me. It’s revision policy is ridiculous. CreateSpace also offers better prices for short orders/proofs and often ships them faster. I like LSI and it has treated me well over the years. I love the fact that, for any problem I have, there’s a person with a name to contact. Dealing with Amazon is like dealing with an impersonal machine encased in 10-feet of concrete. But that only means that its inability to keep up with CreateSpace leaves me more frustrated. Thanks for your thoughtful comment, I’m sure the folks at Ingram will be interested in your feedback about their service and how they might improve it. I’ve talked often here—and changed my mind, too—about using Word to create books, and I think there are solutions available that have made this more possible for DIY authors who either can’t afford, or choose to do their own books with the tools they have. As far as the various issues with LSI, Robin did say during the interview that Ingram intends to listen to their customers as the new platform rolls out, and they are open to client suggestions about features, pricing, and procedures. So I would encourage you to voice your concerns with them. I’ve been waiting for this launch, but my biggest problem is as a small publisher eking along is it seems they require the pricier Adobe In-Design software to generate my book cover and convert my word .doc to a LSI-compatible .pdf (the free open-source version of Adobe which comes with most PC’s never seems to embed fonts properly). As a small publisher, the boon of CreateSpace has always been that it converts your .doc to a .pdf for you, lets you see what your book looks like with Interior Reviewer and tinker with it if necessary for no charge before hitting the ‘approve proof’ button, and you can use their cover conversion software to upload your front and back cover images (or cut-and-paste elements into one of their ‘stock’ ones). With profit margins so slim for a small press, who has money to cough up thousands of dollars for pricy software … and then KEEP coughing up to update it as every couple of years they come out with a new edition? One of my titles is a legal self-help manual which is updated every year, so it’s not as simple as ‘pay a designer’ once. I need the flexibility to go in and re-upload an amended edition in a matter of days if there is a major sea-change in the law. I’m willing to pay a little bit of a re-upload fee, but not hundreds of dollars for a independent ‘conversion service’ on top of that. The boon of indie publishing is it’s mine … I learn it once … I know how to do it myself … I do it. No apron-strings or middlemen. Now perhaps Spark will (or already does) address some of those issues, but until then, I’ll be keeping my eye on which services is better for my bottom line … and on YOUR most excellent blog, Joel, to provide guidance in helping us indies make those decisions. I have FIVE titles out right now, btw, one non-fiction which B&N has expressed an interest in carrying nationwide, but LSI’s issues I just outlined above have prevented me so far from jumping ship. Thanks for another great article, Joel! Thanks for your comment. There is no requirement on the part of Lightning Source that you use a specific program to lay out your books, you are free to use whatever you like. As a practical matter, files prepared with Adobe Distiller still seem to work the best with their system, but that’s a post-production step, after your PDF has been created. I haven’t used the conversion service at CreateSpace to create PDFs, but keep in mind that most modern programs, including Microsoft Word, can create PDFs with fonts embedded, which is the requirement for most POD printers. As far as pricing is concerned, see Michael Perry’s comment below. And good luck with your books! I used Serif Page Plus instead of Indesign to lay out my latest novel for print. It costs much, much less than Indesign but is very powerful and produces high quality pdf files. I reckon it’s worth a try if you want to be able to update your book yourself. Spark is convenient — and costly. There is no way I’ll give up 55% if booksellers will accept 20%. Michael, I would be surprised if any bookstore would stock books given a 20% discount, although they would likely special order them for customers asking for specific titles. The 55% discount is a standard wholesale discount required by many wholesalers and others within the book distribution system. But as I said, it’s not for everyone.